In an effort to resist annexation by Lincoln City, groups in Roads End are looking at drilling six wells in the area to create an independent water system. Although the elected Roads End Water District (REWD) is spearheading the plan, supporters of the project are urging property owners to make donations to a private company run by one of the District’s directors. One fundraising email, sent on Aug. 24 from the local nonprofit Roads End Improvement Association (REIA), asks residents to donate to the Keizer-based Roadsend Group, LLC, to fund “Engineering, Geologic, as well as legal” projects to fight annexation. On Sept. 10, Roadsend Group founder Chuck Jacobsen sent a fundraising email that contained a statement from REWD President Maud Krom announcing the well plan. In an announcement released this week by Maud Krom, the President of the Roads End Water District stated that the District’s intention is to locate a “secure & unthreatened water supply and discontinue service from Lincoln City.” She further explained that this action was a direct response to the efforts of the City of Lincoln City to annex the area using the threat of water shutoff to obtain consent to annex agreements from area residents. The text of the announcement was as follows. The Roads End Water district, in conjunction with The Roads End Improvement Association and The Roadsend Group LLC, is pleased to announce that the Roads End Water District has made application for water rights in the Roads End Community with the State of Oregon Water Resources Dept. The end goal is to establish our own water system independent of any third party, that is a safe , secure & unthreatened water supply and discontinue service from Lincoln City. The Water District board of directors have completed an extensive study into costs, system feasibility, and logistics and found it practical to pursue this solution to meet the needs of The Roads End Community. Some Roads End residents have welcomed a proposed bill that would outlaw the tactics endorsed by Lincoln City Council to gather annexation consents from the area’s property owners. 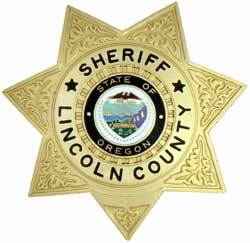 Public safety has become a central topic in arguments concerning Lincoln City’s efforts to bring the Roads End area inside the city limits. City officials have said Roads End residents benefit from Lincoln City Police Department (LCPD) without contributing toward its costs, adding that the area stands to benefit further from the increased coverage that would come with annexation. Lincoln City Council has approved a resolution aimed at gathering enough consents from Roads End residents to allow the area to be brought within the city limits. The resolution, approved unanimously at Council’s Monday, Sept. 13, meeting, comes five weeks after the passage of an ordinance that gives Council the power to designate any area within the urban growth boundary (UGB) an annexation target. City Manager David Hawker said Roads End is at the top of the City’s list of areas from which it wants to gather consents because the area is the largest developed neighborhood within the UGB but outside the city limits. He said Roads End already benefits from City services without paying for them, a claim denied by some Roads End residents and examined in detail in the Aug. 18 and Aug. 25 editions of The News Guard. Lincoln City’s recent adoption of an ordinance that allows the City to force areas within the urban growth boundary to agree to annexation in exchange for continued water supply has laid the foundations for bringing Roads End within the city limits. Consisting of some 715 homes to the north of town, Roads End is at the top of the City’s annexation list. Officials say the area benefits from City services without contributing to the general fund – a claim rejected by some residents and examined in last week’s edition of The News Guard. Battle brewing between Lincoln City and Roads End over old problem: who pays for what? Five years ago, when Jerry and Barbara Woods bought their house in the Roads End neighborhood just north of Lincoln City, they found a letter in their mailbox from City Hall, and it wasn’t a welcome to the neighborhood. Rather, the letter gave the Woodses a choice: agree to let the city annex Roads End or do without water and sewer service. Roger Middleton got the same letter when he tried to change the name on his account to include his wife. He ignored the letter and left the name unchanged. But in coming months, property owners in Roads End won’t have that option. The City Council in Lincoln City recently adopted an ordinance allowing the council to designate by resolution areas to be annexed. Next comes the resolution and after that the letters, saying in short, agree to annexation or no water and sewer for you. Roads End residents say it’s blackmail, coercion, bullying. Lincoln City says it’s only fair.